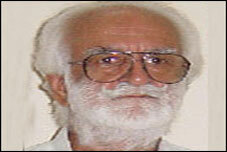 Shahzain Bugti’s Arrest … A New Pandora Box! Time and time again it has been stressed that Pakistan’s elected government is running out of both time and options, when it comes to the prevailing situation in Balochistan. 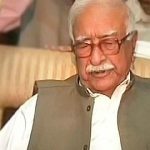 Where Pervez Musharraf has gifted us with many curses during his reign, in my opinion second to the upsurge in extremism remains the murder of Nawab Akbar Bugti in this category. This particular event has proved to be the catalyst in the worsening condition of the biggest province of Pakistan, and it seems that it is far from over even when we have Democratic forces in the corridors of power. Even if his allegation were true regarding Bugti playing into the hands of foreign intruders, he failed to come out with clear evidences to defend his position, and in this way he indirectly ignited anti-Pakistan sentiments which we see today in Baluchistan. 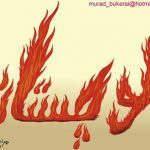 In prominent cities of this strategic province, hundreds have been killed on the basis of their ethnic background (Punjabis primarily) while it is also an established fact that many educational institutes and offices have stopped raising our flag national anthem because of the terrorist fear. Adding another page to this book, the recent arrest of his grandson Shahzain Bugti has raised many question regarding this action, its repercussion and the underline motives behind his arrest. Shahzain has been seen numerous time holding meetings with top leadership of the country in order to forward not only Bugti’s but rather the legitimate demands of his people. He was also involved in a proposed Long March starting from Lahore to pressurize Government on Balochistan issue. He has somehow emerged in a very short time as someone who could be labeled as flexible and understanding when it comes to the political sphere of Balochistan. 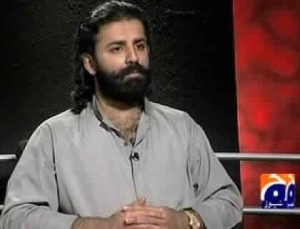 Arrest of Shahzain Bugti in this manner can be disastrous for our ongoing effort of winning hearts and minds of Balochis. We are talking about a society where carrying arms is neither strange nor out of this world. The traditional dynamics of the area along with the prevailing situation can easily justify the concept of armed convoys and guards although the weaponry seized raises many questions if they belong to him in the 1st place. Secondly, it is also open secret that he is not the only one possessing these deadly machines but it has been observed that many prominent politicians in the sitting Balochistan Government maintain fully equipped fort like facilities under the eyes of the same law enforcing industries. On the other hand it has been reported that soon after his arrest Bugti Jr made a call to US Consulate for intervention. This report carries multiple meanings. Primarily if it is true then US officials in Pakistan must be investigated for their direct role in Baluchistan crisis. If under diplomatic norms its impossible, they must be given persona non grata to set an example for them and all the foreign missions working in this direction. Lastly with Baraham Dagh sitting in Kabul, others in UK and now Shahzain in US hands, its time for Islamabad to assess what they have in Balochistan? This event requires a detailed, fair and top level inquiry so that the situation in Balochistan can be stopped from getting worse. Like evidences concerning our Eastern neighbor, the agencies should not sit on these pieces of paper. It is the right of every Pakistani to know the underlying truth instead of a few circles holding onto it, and when required molding them. to their advantage. The Government policy of giving more rights to the Balochis and the inclusion of Balochis into armed forces on priority basis is highly appreciate able but events like these can overshadow all the work taking place in that direction. @mezvix thanks for supporting me on this, whatever your name is!!!!!! 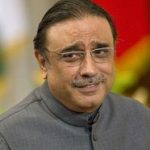 i believe u were not taking doses of opium wen in his era d first drone struck pakistan…….bajaur madrassa killing 80 students below d age of 17……..dis cross border intrusion is his blessing….nd d fool gave everything…in terms of intel and info 2 the allies in d name of “war on terror” only 2 have a band full of anti pakistanis nw firmly established in afghanistan……..
regarding rental power……..d guy could boast of being commando…..the undisputed king of Pakistan, bt did he start a single power generation project???? ?i hope its nt underground coz of which i didnt notice……..made balouchistan a living hell to please his ancestors in Washington and Tel Aviv so dat projects like Gwadar and other mineral extraction never initiate……..dats his vision! d wave of terror is directly linked 2 lal masjid episode……nd nearly every1 has come on air to say dat it was he who doomed d negotiations although dere was clear sign of a peaceful settlement…….just to get blood stained dollars from the US……..
lastly..in france wen dey interevene in our cultural values of wearing burqa or scarf why we feel so offended???? ?i meean if its upto you d answer will be its ok…..we are under eiffel tower so sacrifice our values…..bt dats nt d case….if u hav gone through d article positively,i mentioned gradual change without a feeling of imposition…..simple!!!! my apologies in advance if it seems a bit harsh……. Bro you are real funyy (rofl) , yesterday one newwspaper quoted Tariq Salim Dogger addressing police stated that Punjab Police is one of the best forces in the world and today another statement that we can have the best economy inthe world where a poor man can have Lexus. I believe you are immensely fantasized and obesse by stories by Taliban or zaid hamid or many others like that , dude the pakistan as whole used to be same lawless part of world ,It took time to develop law and order. if you go bit further back in history the whole world was same, the world is evolving and systems are being developed or implemented , So an excuse that we should not take action against non custom paid or stolen vehicles or weapong ,justifying that it’s their culture sounds funny to any sensible man, do you know that 100s of vehicles are just stolen or snatched from Karachi daily , and same happens in rest of Pakistan , Riding stolen vehicles , living lawlessly not obeying any rule is what makes you Taliban or rebels or liberation armies idealize. In modern world a crime cannot be justified under the shadow of religion or culture and if you try to do so it just earns shame globally nothing else. Now the second step Mr Talib Abbas quoted a good example of Musharraf , it was more democracy in his era than now , corruption was at minimum , no rental powers , in history of pk first time dollar stayed at same price for a decade, because he had no black money to whiten , you should have access to data of stock exchange , it was first time that the merit was there, only children and families of minsters and establishment were not awarded any out of merit admissions ,jobs or scholarships. overall what we need is a stable country with criminals behind the bars. The criminals should be prosecuted whether they are children of zardaris , mazaris, bugtis, shahs or sharifs. Otherwise you would see the same incidents like Sialkot happening everywhere in Pk. another information may be you dunhave all these bhuttos , sharifs , shahs , chaudhries and MQM are illegitimate childrenof millitary , They are the ones who betray the country and invite dictators , if we have right people at right place this won’t happen again. we can hav d best economy in d world…..even a common man like me could get hold of a lexus bt wat if the territory we fed on doesnt exist……nd dis is wat mush has left in his legacy…..the imf saga was due to the US aid pouring in2 pakistan, and now we are paying its price…..the infiltration by outsiderz is only becoz he gave everything to the allies without securing the national intrests……. regarding the customs of the tribes…..its wat our quaid agreed with them nt me and u…….and these areas are based on these customs…..even american under the banner of freedom and modernization hav startd rolling frm afghanistan coz u dnt overhaul existing foundation…..rather u go for reforms gradually……. the backwardness of these areas in dese areas comes in govt domain……as it is them who run development project…………. but isn’t it the same current goverment is doing and also the curroption. In return for what he gave to US, he has almost cleared us from IMF and other loans, which are again on high peak. He was also close to resolve the kashmir issue, kept dollar on 60. what you have mentioned, sovereignity, dignity, compromising ur foreign policy, what do you mean by that and may be you’r right on this but that was Pakistan need at that time. how can carrying deadly weapons be a custom, if it is, its a deadly custom man. they are showing that they can do whatever they want. I already mentioned that i am not against balochistan and i feel bad what happened to them after independence, but the way they are protesting is not right. Killing more innocent people, allowing our most deadliest enemy infiltrate into our country, how come this come to right to you. I don’t understand, They also ignore education for their men while their leader’s children has been graduated from (outside Pakistan). They are the one who are actually keeping their people behind. selling ur sovereignity, dignity, compromising ur foreign policy objective for the sake of every 1 getting a cell phone in his hand + leased cars is 1 attribute u can hold close 2 urself in musharaff’s era, atleast i dont consider it worth mentioning. 2ndly tribal areas carry tribal custom, and dis has been guarenteed to them same with the royalty of natural resources. 3rdly instead of pushing blame on bugti as if he was the god father of baluchistan, why doesnt the govt accepts its failure of 63 years when its machinery, beurocracy preferred sleeping instead of doing work on the ground? 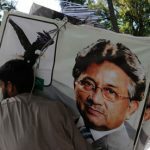 First, I am not totally agree with you on this, because as I saw it Musharraf has given a common people some happiness rather than the f___ing democracy’s amendments and free judiciary and all those things which do not affect common people. 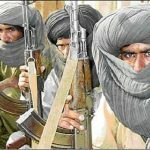 Second, I would say that why it is common in balochistan to carry weapon, if it is, it must be stopped, what bugti tribe is doing with Pakistan is worse, they have taken control of natural resources unlawfully, although i am in total favor of given them their rights which we are still ignoring. Shahzain’s contact with the embassy shows their relation with US because US has their benefit in balochistan as we have listen in many comments that India is also on the back of some balochistani extremists. This is not good for pakistan, We are constantly losing balochistan and bugti tribe is playing a vital role in it. I don’t see bugti tribe as in favor of Pakistan by any means. I do care about their people but not them.